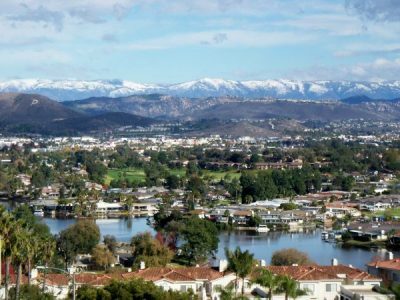 San Marcos enjoys a low unemployment rate and is one of the fastest growing cities in San Diego County. It’s low crime rate and strong commitment to promote economic development also add to the community’s value. Located along the SPRINTER commuter rail line, San Marcos has a solid transportation network. The city is located along Highway 78 and has six interchanges along that route, with easy access to Interstates 5 and 15. Several airports are also close by, including Carlsbad/Palomar airport (6miles) San Diego Airport (35 miles) and Orange County Airport (60 miles). San Marcos has an excellent urban (rural) interface setting with small town informality, plus easy access to San Diego and southern Riverside and Orange County markets via Interstates 5 and 15. San Marcos is quickly becoming known as the educational hub of San Diego North with its award-winning school district, Palomar Community College and California State University. San Marcos is known for the beautiful, Master Planned communities of San Elijo Hills and Discovery Hills. San Elijo Hills is located six miles from the Pacific Ocean. When completely developed, this master-planned community in the City of San Marcos will be home to more than 10,000 residents or 3400 homes. The 19-acre community park, 6,000 square foot community building, 18 miles of hiking trails and over 1,000 acres of open space are only a few of the reasons residents are proud to come home to San Elijo Hills. Discovery Hills is a beautiful community situated within San Marcos and is just south of highway 78. Discovery Lake is at the center of the neighborhood. There are great trails, open space and parks throughout the community. The newly renovated San Marcos High School is located nearby as well. San Marcos has a hospitable climate with an average of 9 to 11 inches of rain fall annually and average summer temperatures that hover around 72 degrees.